Find your products. This can be done through our site navigation, search engine, product finder, product comparison or Beauty Consultation. View your bag. You can access this at any time by clicking on "shopping bag" at the top right hand corner of every page. Here, you can modify quantities and add or delete items. At this point you can also choose from a selection of free samples to add to your bag. Place your order. After your order has been submitted, a "Thank You" page will be displayed confirming that your order has been received. A confirmation email, which is also your order receipt, will be sent out shortly after your order has been submitted. If an order confirmation does not arrive within 24 hours, please contact Customer Services for assistance. 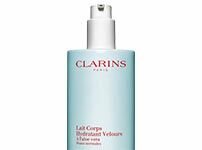 Clarins products are divided into 5 main areas: Face, Body, Sun, Make-up and Men. Use the “Product Filters” to narrow your search and highlight the products that best suit your needs. The “Search” tool will lead you to the appropriate product pages based on the information you provide. If you would like extra advice, check out our Beauty Consultation tool to create a personalised list of products. Don't forget your free samples! In the shopping bag you can choose 3 samples from a large selection. Your samples will automatically be added to your “Shopping Bag” and you will see them listed along with your purchased products on the “Order Confirmation” page. If your order is not completed during this visit, the samples will be removed and the same ones may not be available when you return to finalise your order. These samples are not redeemable for cash. Occasionally there may be a specific alphanumeric code associated to an online promotion that you’ll need to use to redeem an offer. There may be a minimum spend qualifier (shipping is excluded). Please note that E-Gift Certificates are not considered products and will not count towards your minimum spend. Enter the code where indicated on the “Billing Page” - during the checkout process. You will see the promotional products appear in your shopping bag on the “Order Review” page. Promotional codes are only available for a limited time and cannot be used once expired. All promotional products are only available while stocks last.